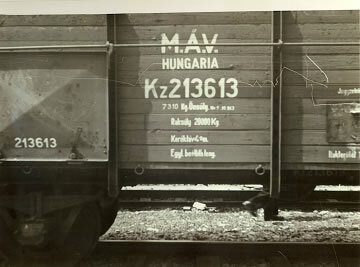 The Hungarian Gold Train was a train of approximately 24 freight cars that contained personal property which was taken, seized, confiscated or stolen by the Hungarian government from Hungarian Jews. The personal property in issue was taken into custody by the Unites States Army on or about May 11, 1945 near Werfen, Austria and later moved to Salzburg, Austria. The Conference on Jewish Material Claims Against Germany (Claims Conference), in consultation with Class Counsel, Class Representatives and others, developed recommendations for which social service agencies in the relevant countries are funded as well as the specific programs. The Federation of Jewish Communities in the Czech Republic is receiving funds from Hungarian Gold Train (and Hungarian Gold Fund), distributing by Claims Conference, since 2005. The grants from the fund do not provide for direct payments to Class Members as compensation for property lost on the Gold Train. Instead, the money fund social service programs benefiting eligible Class Members according to the Plan of Distribution. After years of litigation, the parties concluded that attempting to provide compensation payments directly to Class Members would be impractical because of the difficulties of determining which individuals had property on the Gold Train (or were heirs of such individuals), and because the administrative costs of determining which Class Members would be eligible for such compensation payments could very well equal or exceed the total size of the Settlement Fund.